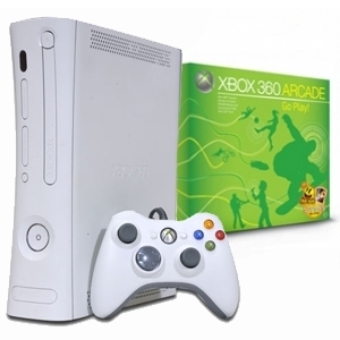 As hinted at in our ennui-bustin' Thanksgiving Rumour Roundup Microsoft have confirmed that the new batch of 'Jasper' Xbox 360 Arcade boxes will come with internal flash storage. Speaking to Xbox 360 Fanboy, a Microsoft spokeschap said, "We can confirm that we are moving to internal memory for the Xbox 360 Arcade. The physical internal memory is the same size as the previous external memory units - 256MB"
Arcade users can now look forward to saving games right out of the box - and maybe even a few Avatar costumes if they are lucky - before having to cough up for some external storage. Didn't the Arcades always have 256MB?